My second great uncle Louis Beauregard Pendleton (one of my great grandfather Alexander Shaw Pendleton's younger brothers) was a late nineteenth-early twentieth century novelist. The Who's Who in the World, 1910-1911 says he was a journalist, too. His father was a newspaper editor and several of his brothers were journalists and/or newspaper editors (the curse was rampant in this family). My father always referred to him as "Uncle Louis," so that's what I call him, too. Uncle Louis was born April 21, 1861, in Waycross (formerly Tebeauville), Ware County, Georgia. He was one of ten children of Philip Coleman and Catherine Sarah Melissa (Tebeau) Pendleton and one of eight boys. The family moved to a farm just outside of Valdosta in Lowndes County Georgia some time during the Civil War when Louis was a boy. His given name is actually spelled Lewis, but he changed it to Louis; he was named after his mother's brother Lewis Tebeau. [S]ons Philip Pendleton, Jr., and W. F. Pendleton published the newspaper. Philip, Jr. died in 1870, and W. F. and the youngest brother, [Nathaniel] Dandridge, moved to Pennsylvania where they ultimately became the first and second Bishops of the Swedenborgian Church in America. Charles and Louis Pendleton, the last a writer of some note, published the paper as a bi-weekly, changing the name to The Valdosta Times. In 1896, Charles and Louis moved to Macon after Charles purchased the majority interest in the Macon Telegraph. The 1900 Vineville (Macon), Bibb County, Georgia, census shows Louis is living with his brother Charles and his family. The census says he was employed as an editor. By 1910, he is living in Moreland, Montgomery County, Pennsylvania, and his employment is listed as journalist. His sisters Emily and Mary Zella and niece Philola (Charles's daughter) are living with him. By 1930, he is living in Bryn Athyn, Montgomery County, Pennsylvania, the city where his brothers William Frederick and Nathaniel Dandridge Pendleton lived, and he was still working as a journalist. Uncle Louis never married, and as far as I know, had no children. He died in 1939 in Pennsylvania. My father had been collecting Uncle Louis's books for years, and when he passed away, they came to me. He actually put it in his will. He knew I would want them. I hate to admit that I don't know how many novels Uncle Louis wrote; I don't even know how many I own. Most of them are still in Valdosta. The ones I've read are the ones I have with me in Alaska: Corona of the Nantahalas (1895), In the Okefenokee (1895), A Forest Drama (1904), and Echo of Drums (1938). When I go home to visit, I try to bring one of his novels back with me to read. 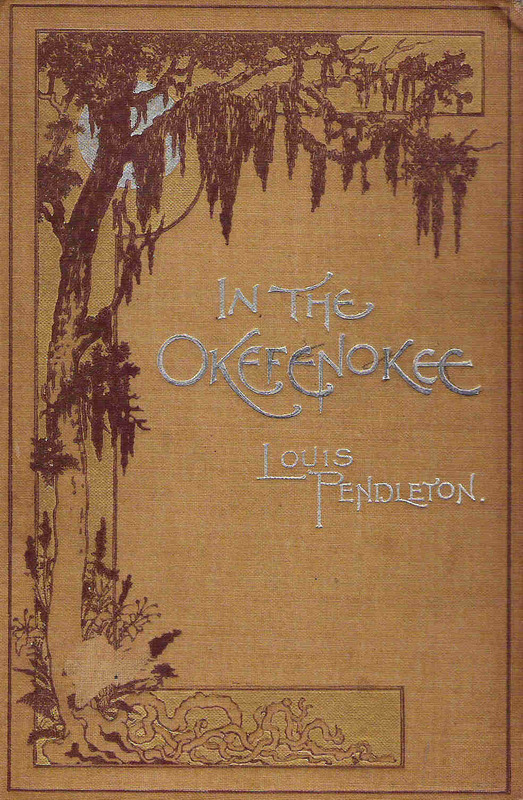 In the Okefenokee by Louis Pendleton was published in 1895. The first book of Uncle Louis's that I read was Echo of Drums. As soon as my father told me that it was a "thinly veiled" novel about the Pendleton family, I just HAD to read it! I wish I knew how much of the novel is true. The back flap of the book cover says, "Louis Beauregard Pendleton was born in Tebaudville [sic], Georgia, and much of the material in this book was still the subject of animated conversation among his elders when he was a boy". As a rule, people don't send me books which I can thank them for, and so I say nothing--which looks uncourteous. But I thank you. Ariadne is a beautiful and satisfying story; and true, too--which is the best part of a story; or indeed or any other thing. Even liars have to admit that, if they are intelligent liars...a man's private thought can never be a lie; what he thinks, is to him the truth, always; what he speaks--but these be platitudes. If you want me to pick some flaws--very well--but I do it unwillingly. Twain goes on in his letter to give Uncle Louis some advice about his story with his usual wit and then closes with, "I thank you again, Yours truly, S. L. Clemens" . Uncle Louis was made an honorary member of the Societe Academique d'Histoire Internationale of Paris for his biography on Vice President of the Confederacy, Alexander H. Stephens. A 1908 article in The Valdosta Times quotes praise for the book from several sources. I don't recall seeing this book in my collection; it's available for free on Google Books, so I downloaded it today. Even though I've curtailed my book-buying for the most part, I think I'd rather have a hard copy of this book. Several of Uncle Louis's books can still be purchased from used book sellers online. The next time I visit Valdosta, I'll have to take inventory and see which books I'm missing! Barghouti, Kim, comp. Who's Who in the World, 1910-1911 [database on-line]. Provo, UT, USA: The Generations Network, Inc., 2001. 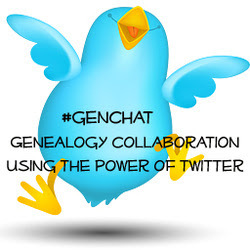 Accessed on ancestry.com. Constance Pendleton, ed., Confederate Memoirs: Early Life and Family History, William Frederick Pendleton and Mary Lawson Young Pendleton. (Bryn Athyn, Pennsylvania,1958). Ancestry.com. Year: 1900; Census Place: Vineville, Bibb, Georgia; Roll: T623_180; Page: 2A; Enumeration District: 19. Ancestry.com. Year: 1910; Census Place: Moreland, Montgomery, Pennsylvania; Roll: T624_1378; Page: 13A; Enumeration District: 0107; Image: 579; FHL Number: 1375391. Ancestry.com. Year: 1930; Census Place: Bryn Athyn, Montgomery, Pennsylvania; Roll: 2080; Page: 6A; Enumeration District: 19; Image: 1117.0. 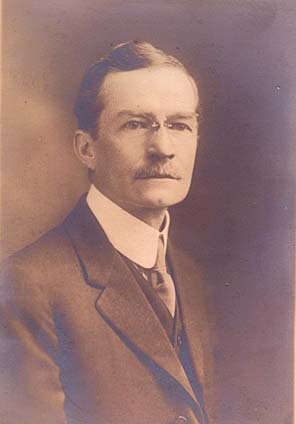 Louis Beauregard Pendleton. Echo of Drums (Sovereign House, New York, 1938). Mark Twain's Letters, Arranged with comment by Albert Bigelow Paine. (Harper Brothers Publishers, New York, 1917). "The Life of Alex Stephens, Some Things the Papers Say of Louis Pendleton's Book." (The Valdosta Times, 12 December 1908:3), accessed on South Georgia Historic Newspapers, http://sgnewspapers.galileo.usg.edu/sgnewspapers/search.